Salvation And Survival: The Court of Heaven (Part 1): Do You Know You Have Access To It? The Court of Heaven (Part 1): Do You Know You Have Access To It? Perhaps the first question I should ask is Did you know the Court of Heaven even exists? I would venture to guess that a majority of modern Christians would answer "No" to that question. Yet the Jews returning to Jerusalem from their Babylonian exile knew well the teachings of the prophet Zechariah, among which was this idea of a Heavenly Court. And when we examine Scripture, there are many references to legal terms in God's relationship with men: judgment, appeals, law, contract, evidence, witnesses, indictment, jurisdiction, debt and debtors, redemption, punishment, condemn, testimony, and verdict. Starting to get the idea? And we must always keep in mind the admonition of our Lord: Thy Kingdom come, on earth as it is in Heaven. The judicial system of the ancient Israelites, as well as our own court system, are modeled upon the Court in Heaven. Furthermore, the Court is part of the judicial government of the Kingdom of Heaven, and guess what? We have access to it as part of His Kingdom here on earth! First, I want us to understand that there are really two aspects of the Court of Heaven for Believers: 1) Jesus as our legal defender, and 2) our ability to prepare a case for our own defense. In both instances, we can be present and have access to God in this heavenly Courtroom. Let me see if I can paint a picture for you from Scripture... In Zechariah, Chapter 3, the prophet receives a vision from a guiding angel of the High Priest, Joshua, standing before God, and Satan stands to his right, as his accuser. The High Priest Joshua represents disobedient and sinful Israel, who has been brought to the Court of Heaven to receive what Satan thinks will be justified punishment for their sins. (Remember: He is known as the Accuser). But that isn't what happens! God rebukes Satan and replaces Joshua's filthy rags with the clean white robes of forgiveness. Then it gets even more exciting! God counsels Joshua, telling him that if he will be faithful and walk in the ways of the Lord, he will be given greater authority to govern His house and have charge of His earthly courts, and most importantly, Joshua will have free access to the Court in Heaven and to God's presence. I want you to read that last comment again ... God promised Joshua privileged access into the presence of God. This isn’t a surprising promise for a High Priest, but we have the same promise: Let us therefore come boldly to the throne of grace, that we may obtain mercy and find grace to help in time of need. (Hebrews 4:16). NOTE: I am currently seeking revelation from God about whether the Court of Heaven takes place in the Throne Room of God. At this time, I am seeing Daniel 7:9-10 as confirming this, but I have asked some notable Bible scholars for their opinion, and I will give you their feedback as I receive it. But for your own discernment and determination, here is the passage in Daniel: As I looked, thrones were placed, and the Ancient of Days took his seat; His clothing was white as snow, and the hair of His head like pure wool; His throne was fiery flames; its wheels were burning fire. A stream of fire issued and came out from before Him; a thousand thousands served him, and ten thousand times ten thousand stood before Him; the court sat in judgment, and the books were opened. I see both the Throne Room and the Court of Judgment pictured in this Scripture, but as to whether they always coincide together, I am not prepared to say. And perhaps the Court appears in the Throne Room only when God (The Judge) calls the Court into session. What do you think? But back to the High Priest Joshua ... as Christians, we, too, can appear before God's Throne and the Court of Heaven. And I really like the way the noted theologian Charles Spurgeon voices his interpretation of this scenario: "When Satan accuses, Christ pleads (our case). He does not wait till the case has gone against us and then express His regret, but He is always a very present help in time of trouble. He knows the heart of Satan, (being omniscient God), and long before Satan can accuse He puts in the demurrer, the blessed plea on our behalf, and stays the action till He gives an answer which silences forever, [the Accuser's] every accusation." I found it interesting that the definition of the word demurrer is "[in Law], an objection that an opponent's point is irrelevant or invalid, while granting the factual basis of the point". So, the result is that Satan accuses us, and Jesus never denies our sin, but instead acts as our Mediator. His sacrifice on our behalf makes the case against us invalid, and the case is thrown out of the Court of Heaven. We are innocent by the Blood of the Lamb! But I don't want us to skip over another very important fact ... God's promise wasn’t just that we can go to the Court of Heaven to petition, making a formal request for a Judicial decision, but if we will follow God's commandments and live in obedience, then we can oversee the affairs of the Judge (God), and make the decisions!! That is a realm of authority in the Kingdom Government on earth that is available to all of us! So it’s not just about us being able to appear in Court to plead our case, (it starts there, of course), but we are given the authority to rule and reign and be part of God's justice system in His earthly Kingdom. In that particular responsibility, there is a significant aspect of our position in the Kingdom of God that I'm afraid most Christians don't fully understand... We are Kings and priests of our God, and He intends for us to participate as the government of heaven will increasingly invade the earth. There are other obvious views of the Court of Heaven in the Bible. 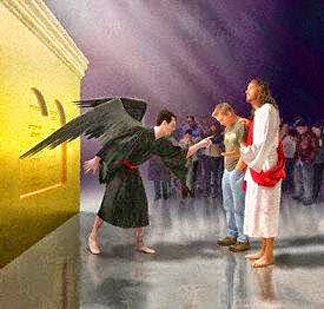 Perhaps the most familiar one is in the story of Job ... One day when the angels came to report to God, Satan who was his designated Accuser came along with him. We also see that the Court in Heaven is where Satan got permission to curse Job and strike him with severe sores and other misfortune. It is important for us to understand, as in this case with Job, God does allow Satan to attack and harass His people, but He always strictly regulates what Satan is allowed to do. And whether we realize it or not, Satan has been going to the Heavenly Courtroom, (just like he did with Job), to get permission to steal from all of our lives. 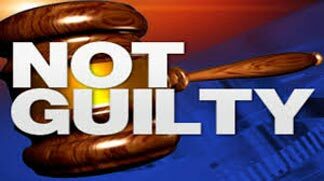 And because we Christians haven't known that we can go into Court and say, "NO, I want to present my case and oppose what the Accuser is saying", we have experienced defeat after defeat! How often have Believers perished for lack of this knowledge?!? And I don't want to leave this topic without pointing out one of the strongest visions of the Court of Heaven, which takes place in Revelation 12:10: Then I heard a strong (loud) voice in heaven, saying, Now it has come—the salvation and the power and the kingdom (the dominion, the reign) of our God, and the power (and the authority) of His Christ (the Messiah); for the Accuser of our brethren, he who keeps bringing before our God charges against them day and night, has been cast out. But here's the good news! We have an Advocate in the Heavenly Courtroom! This is a legal term describing someone who has received some legal training which allows him or her to represent another in a courtroom; an Advocate is someone who speaks on behalf of someone else. So we should see a picture of Jesus as our Advocate in 1 John 2:1, “My little children, I write you these things so that you may not violate God’s law and sin. But if anyone should sin, we have an Advocate (One Who will intercede for us) with the Father—[it is] Jesus Christ [the all] righteous [upright and just, Who conforms to the Father’s will in every purpose, thought, and action].” We know, from this Scripture, that Jesus is legally trained and knows how to represent us in the Court of Heaven! But here's something we must also consider ... in the instance of Job, we know that Satan was allowed to appear before the Court of Heaven, and accuse Job before God, The Judge. But in the first 12 chapters, Job does nothing to defend himself. He laments the attacks against him, but does nothing to defend himself --- until Chapter 13! Finally, in this chapter he says, NOW I have prepared my case (verse 18). So, do you think Job might have saved himself and his family a lot of harm and suffering if he had prepared his case earlier? Would he have been able to block Satan's attempt to destroy him and his family in the Court? No one can say for sure, but Job makes it quite evident that now that he's prepared his case, he knows he will be vindicated! Can we perhaps learn a lesson from Job and be prepared to make our own cases in the Court of Heaven against our Accuser? Stay tuned for the next post as I present how the whole Heavenly Court system is rigged on our behalf, and how we can go to the Court on behalf of ourselves and our families, with the knowledge that Jesus stands with us. It's time we begin to prepare our own defense against the lies and accusations of our Adversary! Thank you to the notes of Steven McKie, David Herzog, and Terry Spencer of New Horizon Community Church for their helpful insight on this topic. They pointed me to Scripture on the Court of Heaven, which contributed to my understanding of this Biblical concept. Psalm 35:1 "Plead my cause, O Lord, with those who strive with me; Fight against those who fight against me". This is awesome can't wait to read more! This was a great read. I want to experience God like this but I have no idea how to even start the process. How do you go about having such a spiritual walk and how do you find such interesting new views of God. Im a bit jealous. It's not as difficult as it may seem! We have to come to God with a clean heart, so if there are any unconfessed sins, start by confessing them, repenting, and asking for forgiveness. And then it is really as simple as asking God for a stronger spiritual walk, or to see the spiritual realm, or to show you the Throne Room -- or whatever it is you want that brings you closer to Him. "Ask and you will receive; knock and the door will be opened". BUT the real context in the Greek is to (keep) asking and (keep) knocking. We tend to ask once or twice and when we don't receive what we're asking for, we give up and declare that God didn't answer us. God wants to give His people the desires of their heart, but it is from a pure heart. If you really want to be a part of God's Kingdom, He wants to give it to you! Just ask for it! And as far as the topics, my husband and I spend hours in our Bibles each day, and when you commune with the Lord that much, He begins to open up His Word and show you bigger and bigger concepts. I don't know about you, but I want to know all I can about my God who wants me to rule and reign with Him! Regarding your question, it seems the throne which is a place the King sits is also referred to as the mercy seat. The scenario you reference in Zechariah is a picture of a trial in progress. Satan is the prosecutor. He would be making accusations. The defender has the job of defending the accused as a Mediator on accused behalf. The Judge is the Amighty Father or Ancient of Days. Joshua or should we say Yeshua has taken the sin of the accused on himself and paid with His blood the death penalty which we deserve. Hebrews 4 shows that we may come boldly to the throne of grace,so it seems that the Throne is were we make our appeal whenever we need too. Yes, I understand what the Courtroom is like and I have a pretty good picture of the Throne Room. And I think I clearly referenced the picture of a trial in Zechariah (and you stated it perfectly). 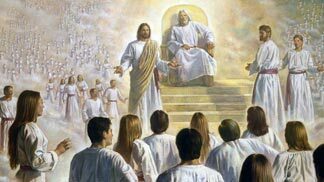 But as I understand more and more about the government of God in His Kingdom(s), I am seeing the connection between the Court of Heaven and the Throne Room. And I am realizing that our God is so big and is so multi-dimensional that He can receive me in the Throne Room at the same time that He is sitting as Judge in a trial by the Accuser. My human brain tries to figure out how all this can be going on at the same time. But YHWH continues to reveal that He cannot be defined by my human sensibilities. He is unlimited in His availability and His presence. What a magnificent God we serve! May I use 2 of your photos for a Christian youtube video? In the Name of Jesus, I ask my Savior to show me any areas in which I have been ungodly so that I might repent of them before entering the Holy Court of Heaven…. Father, I come before Your throne today, in awe and reverence, asking for Your compassion and mercy, and I request that you convene a session of the Heavenly Court. Father, the Holy Spirit has shown me that the Adversary has been lying to my husband about his need for Your Grace and Salvation, and as his wife, I ask that Jesus and the Holy Spirit intercede on his behalf before the Court. As Isaiah 43:26 says,“let us argue the matter together; state the case for your innocence.” So, as his Believing wife, I am here to state my case of deceiving spirits and ask for Your Light and Truth to come into his heart. I come seeking Your intervention, God, as Judge and ask that You hear my petition before the court, and I request a verdict from the Heavenly Court. Here is my petition: Father, I recognize that the Enemy is lying to my husband and has convinced him that he does not need your gift of salvation. I have prayed for him, and am now seeking the power of the Holy Spirit to invade his heart and create a supernatural desire for You. I ask for the barriers that keep him in darkness to be destroyed and for him to receive his identity as a son of God. Father, I am asking the Heavenly Court to force the Adversary to reveal his lies for what they are, an attempt to keep my husband from his inheritance as a child of God, and to let him receive Your Truth as I present the gospel of the kingdom – all that is due him, including salvation, so that we might go forth together – equally yoked -- in righteous battle to defeat our Enemy. I petition the Court to bring these lies under the blood of Jesus and to establish my husband under the rule and reign of Christ. So, Father God, as You bring the Court into session, I see the books or scrolls being opened, and as the Ancient of Days, God, I know that You see all days and can render judgment to deliver my husband from the consequences of his unbelief. Father, on behalf of my husband, I ask that You, as Judge, review the scroll of his “Book of Life”—including past generations, and annul covenants with spirits of Doubt and Unbelief that have given access to demonic powers holding him captive to the lies that he does not need You. And I ask for a verdict in his favor. Just as in the case of the widow seeking justice from the unjust judge, Father, I ask that you defend my husband and set him free to worship You. So, Father, as I rest my case for justice for my husban, I bow in reverence and seek Your face, acknowledging with honor and gratitude my faith in Your vindication and blessings upon my husand. I thank You, Father, and I will abide by the decision of You and the Court. (NOW YOU NEED TO TRUST IN THE DECISION OF THE COURT, KNOWING THAT JESUS AND THE HOLY SPIRIT WILL ADVOCATE ON YOUR BEHALF. THANK THEM FOR REPRESENTING YOU, AND DECLARE YOUR FAITH IN GOD’S RIGHTEOUS JUDGMENT). I have been 'saved' since 1987; but, until recently, I have never even heard of this teaching! I am so hungry for more, that I will acquire the aforementioned resources posted above to gain greater insight for my own soul salvation; as well as to share with other believers. Thanks be to God for you, co-laborers in the gospel; for your willingness to share and enlighten. Hallelujah! We shall overcome.....! Isn't it beyond words to see all that God wants to reveal about Himself to those who are hungrily seeking Him? I pray that He will keep drawing you to Him as He feeds your spirit with new revelations of all that He is!